I work on few simple dioramas just with tank and few figures on each of them now. 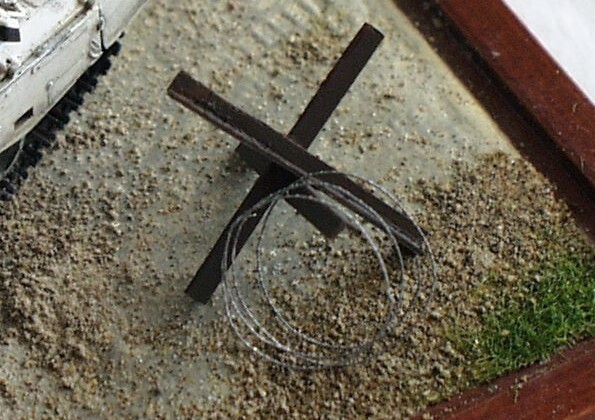 Therefore I have decided to place the barbed wire obstacles on some of them to make them livelier. 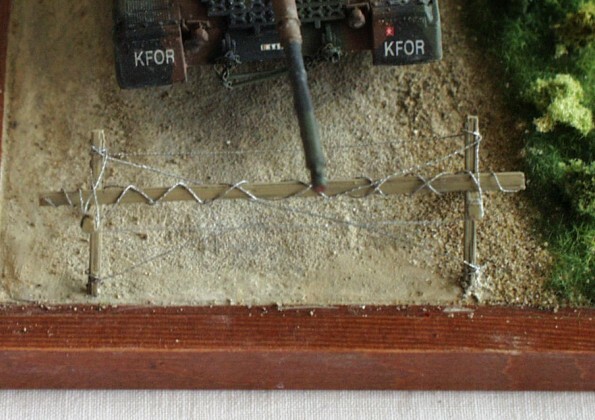 I had already had some experience with barbed wire ”production” before I started to create mentioned dioramas. I have experimented with the sewing, the wire atc., but the results haven’t made satisfied. I have also bought Extarech’s brass but it seems to me too chunky for our scale. Therefore I have started to experiment again, turned back to wire as base material and developed this method as follows. 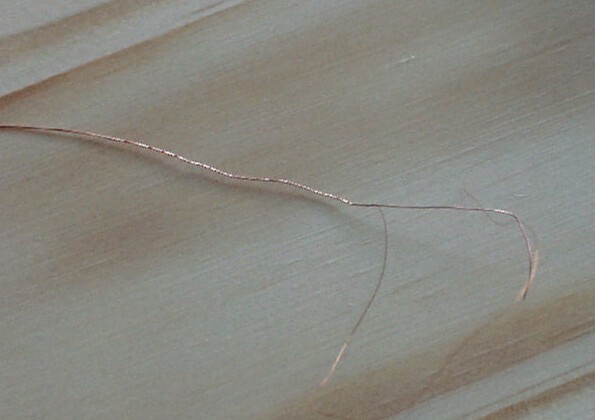 The base material for my barbed wire is two kinds of thin copper wires (thinner and thicker). The thicker one ”bearing” should be stick enough to keep the shape and not too stick for bad ”chunky” look of finished barbed wire. The thinner one ”winding” (for ex. taken from the coil ) should be thin enough to be easy winded on the bearing one. The barbed wire ”production” is than very simple. 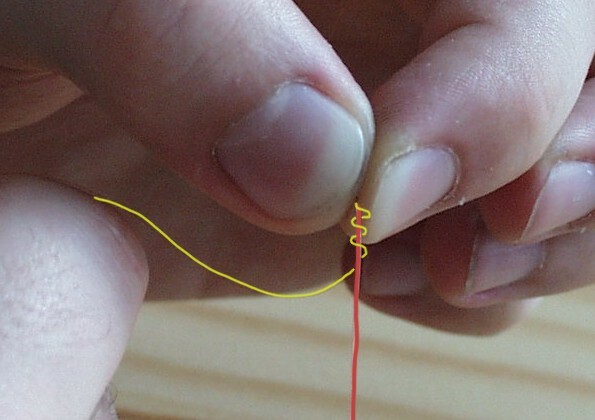 You just have to wind the winding wire on the bearing one as you can see on pictures below (the wires are highlighted to be visible enough). The painting of copper wire is little complicated because the paint do not want to stick on enough. I recommend you to spray the wire with the grey base paint (special for metals) and then just paint it with thinned silver paint. Nevertheless then the painting is still too sensitive to attrition so you have to work with it very carefully and repaint all attrition after you install it on your diorama. 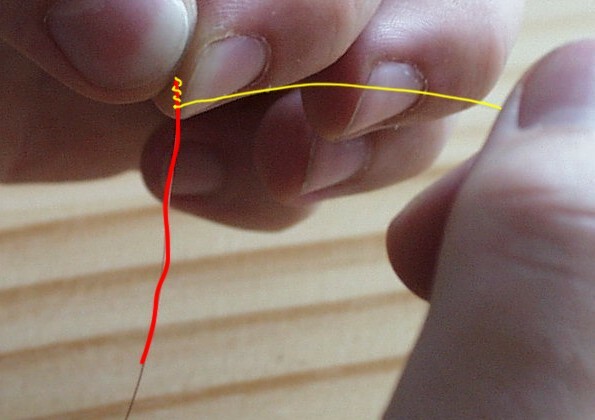 Maybe the described method seems to you to complicated but when you test it you get the practice very quickly and the barbed wire ”production” will be very simple and quick for you. According my opinion the results are perfect as you can see below.